A range of traditional drawing and sketching pencils with a variety of exceptional leads. 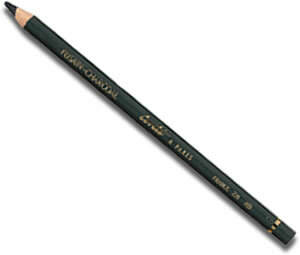 These pencils are excellent for portrait, landscape and still life work. From the dense matt black of Pierre Noir to the deep rust of Sanguine these pencils blend beautifully across the range and they are used to particularly good effect on coloured paper. The Conté pencils compliment the Conté Crayon perfectly and blend well with them. 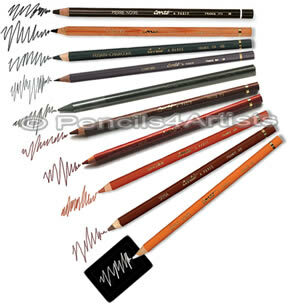 The full range of Conte Sketching Pencils available individually. The Conté Pierre Noire pencil is a soft lead pencil with a black that is rich, intense and matt. It is recommended that the barrel alone should be shapened with a knife and the lead shaped with a scraper or sandpaper. The Conté "Carbon" pencil has a core derived from traditional charcoal but is stronger, does not crumble or dirty the hands. The Conté Charcoal pencil gives a clean, dense finish of intense black. This pencil blends perfectly with the iron red and sepia pencils and allows you to produce more accurate and carefully drawn lines than traditional charcoal it also does not dirty your hands. 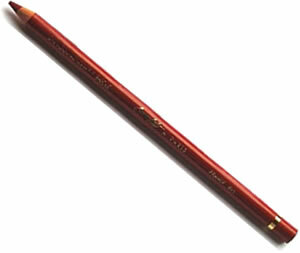 The Conté "Sanguine" pencil is a deep "rust" colour and its lines are easily blended. With a sharpened lead the drawing is accurate and the colour is transparent, if the work is lightly drawn the Sanguine pencil lets the texture of the paper show through. With a half-worn lead, the opacity increases with the pressure exerted on the pencil. 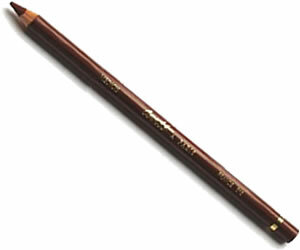 The colour of the Conté "Sepia" pencil is reminiscent to burnt umber. This pencil shades easily. With a sharpened lead, you achieve an accurate and delicate finish. With a half-worn lead, the finish becomes more opaque as the pressure exerted on the pencil increases. It can be used sparingly on its own but it can be blended with the Sanguine, White, Charcoal or Pierre Noire pencils for a more complex finish. 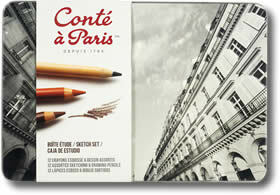 The Conté "White" pencil is mainly used with the lead sharpened, the line is clear and the colour transparent. It's an essential complement for all the other pencils, its main function is to add hints and highlights but it can also be used alone on coloured and black paper. The Conté "Sanguine XVIII" pencil is a darker brown than the "Sanguine" pencil but has the same red oxide. It has similar properties to the "Sanguine" pencil, so with a sharpened lead the drawing is accurate and the colour is transparent and with a half-worn lead the opacity increases with the pressure exerted on the pencil. 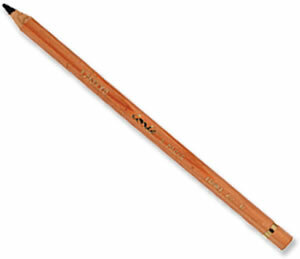 The Conté "Sanguine Medici" pencil is the darkest of the "Sanguine" pencils and has a little less red oxide. It also has similar properties to the other "Sanguine" pencils in that with a sharpened lead the drawing is accurate and the colour is transparent, and with a half-worn lead the opacity increases with the pressure exerted on the pencil. The perfect introduction to a range of Conte Sketching pencils.